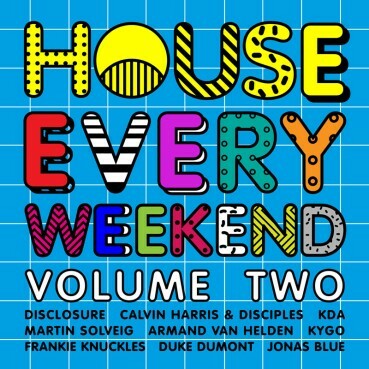 It’s time to reload one of our biggest albums for a second outing… thats right its time for House Every Weekend : Vol.2! The new 3 Disc album is rammed with tunes to make sure you’re always just around the corner from the Weekend all week long. Featuring Disclosure, Calvin Harris, KDA, Martin Solveig, Armand Van Helden, Kygo, Frankie Knuckles, Duke Dumont, Jonas Blue and LOADS MORE!